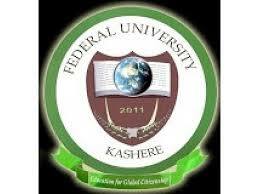 Federal University, Kashere (FUKASHERE) Post-UTME and Direct Entry O'Level Results [WAEC, NECO, NABTEB] Upload Notice to all Candidates for 2018/2019 Academic Session. This is to inform all UTME/Direct Entry candidates who chose Federal University of Kashere as their first choice and have attended the Post-UTME/DE screening exercise that they are required to urgently visit JAMB website and upload their ‘O’ Level (WAEC, NECO or NABTEB) result(s) to enable the processing of their admission. Candidates should note that failure to comply with this notice would lead to non processing of their admission. Candidates are to further note that the university would not entertain any complaints in this regard.